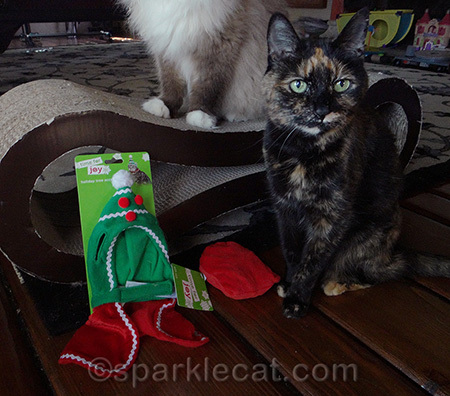 My human really did feel badly that we cats didn’t have much of a Christmas, so when she was at Petco just before the New Year, she picked up a couple of holiday cat items on sale. 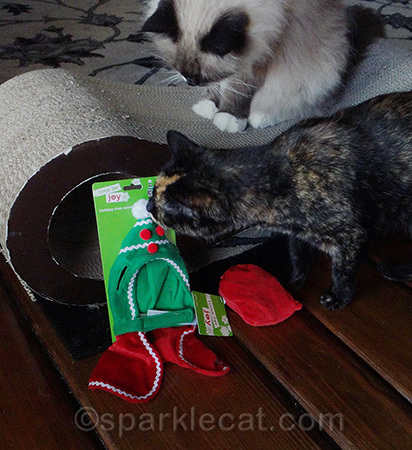 Binga immediately claimed them as hers. Maybe that’s why Boodie’s head is cut off in this photo. But I think she may be having second thoughts about wanting them for herself. What was in the red bag? Coal, apparently. 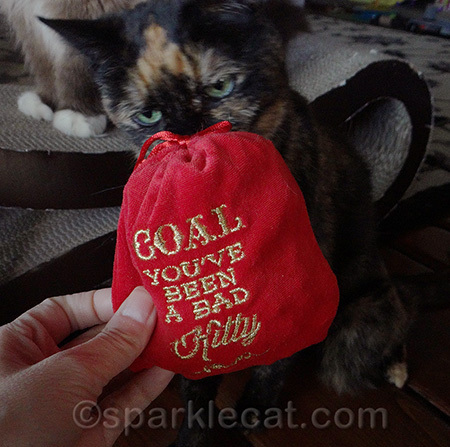 I think Binga is having second thoughts about those New Year’s resolutions. 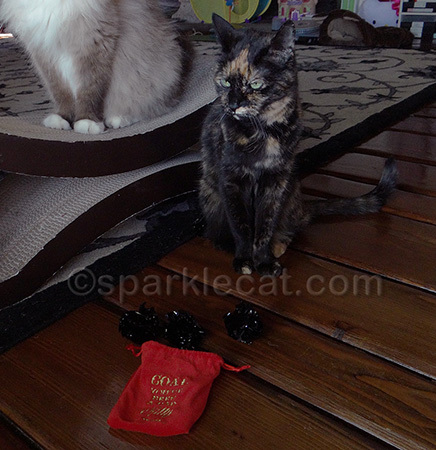 Yes, the “coal” was really some black crinkle balls, but I don’t think she got the joke. 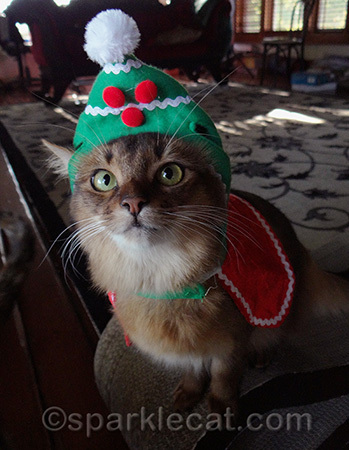 But even that was better than having to wear a Christmas tree hat! This was the only photo my human was able to get before she stalked off in a snit. 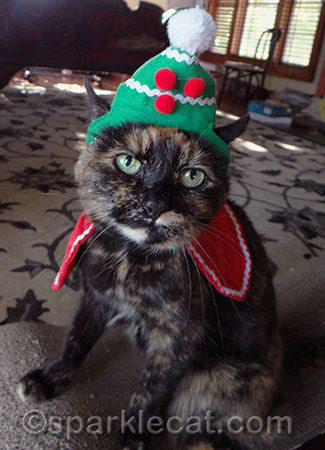 So she tried it on me, knowing that I’m more cooperative — but it was way too big! The packaging said, “One size fits most.” Most what, gigantic Tom cats? I’m not sorry it won’t be part of next Christmas’s photo shoots. Binga looks adorable and no more PO’d than usual in that hat. You look like the pro you are. Love the both of you in the Christmas tree hat, too cute!